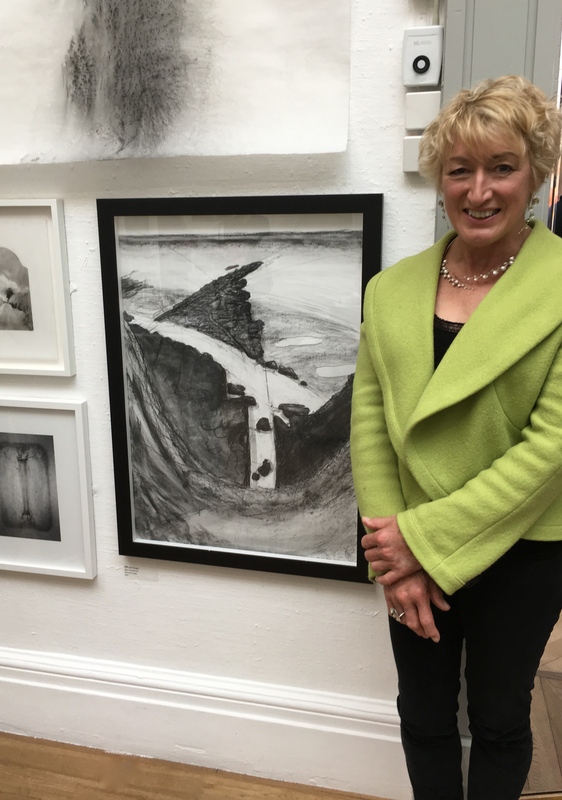 I am fortunate to have one of my charcoal drawings, an abstracted landscape, ‘Above Orcombe Point’ showing at the RWA 165 Open Exhibition in Bristol from 1 Oct to 3 Dec 2017. It is hanging in the beautiful Stancomb-Wills Gallery with a high vaulted ceiling and beautiful light, surrounded by other predominantly black and white works, including sculptural pieces and ceramics. My work is alongside that of Laurie Steen, whose exquisite, delicate studies of trees I greatly admire, and whom I did a drawing course with a few years ago. The exhibition is varied and inspiring – well worth a visit. 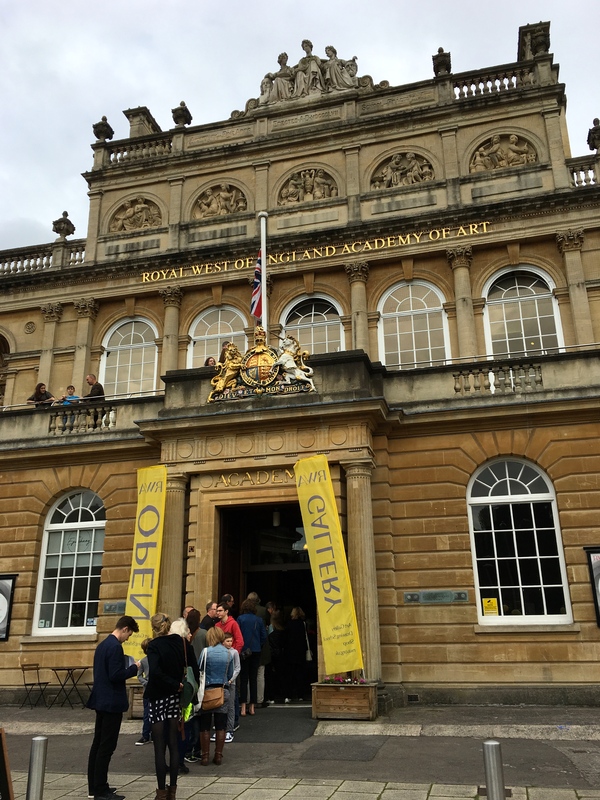 Queuing to get into the Private View! 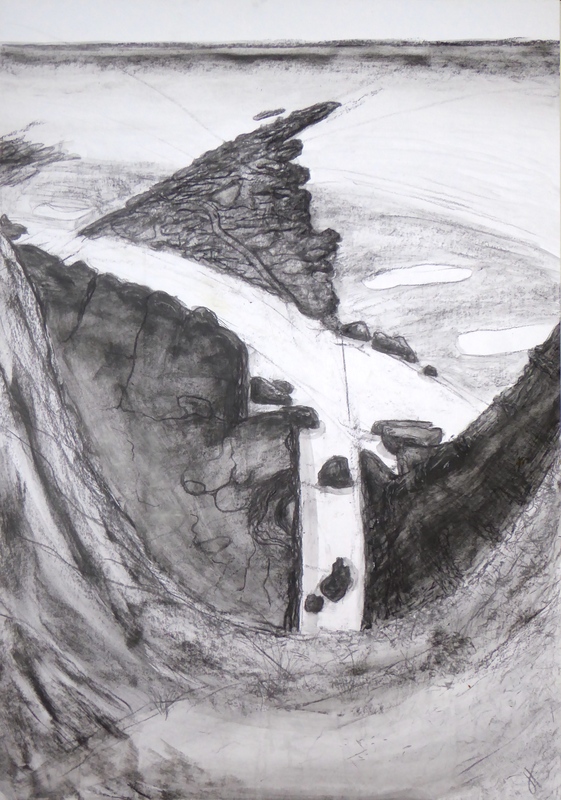 This entry was posted in art, charcoal, drawing, exhibition. Bookmark the permalink.